If you’re paying taxes in AY 2015-16 (FY 2014-15) you may want to get a rough estimate before you go to a tax consultant (or do it yourself). 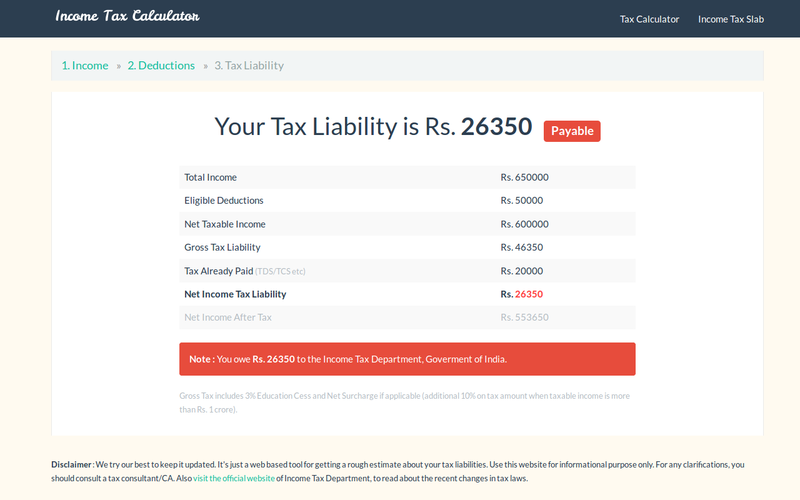 For that purpose, you may want to check out this income tax calculator I launched few days ago. First, select your age and financial year (2014-15 is selected by default) and enter your income details in 2nd step. Make sure you add all income sources correctly and also the amount of tax paid in advance (TDS, TCS etc). 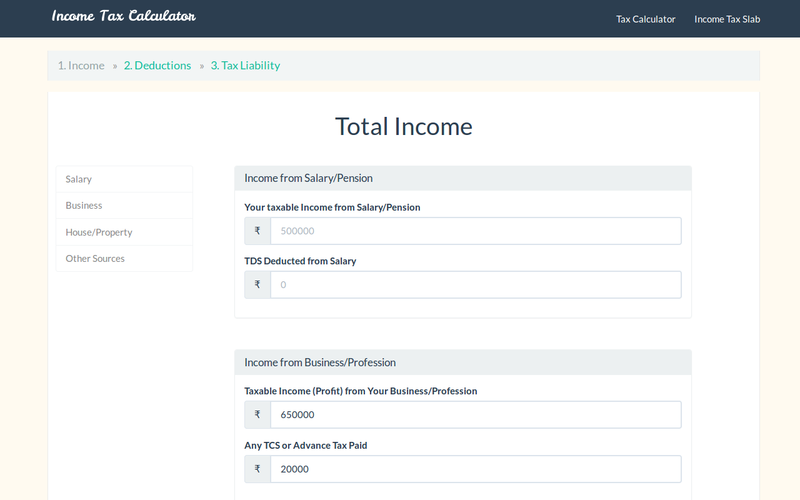 Then, you can enter the amounts for eligible deductions before you get to the final report on your tax liability/refund. 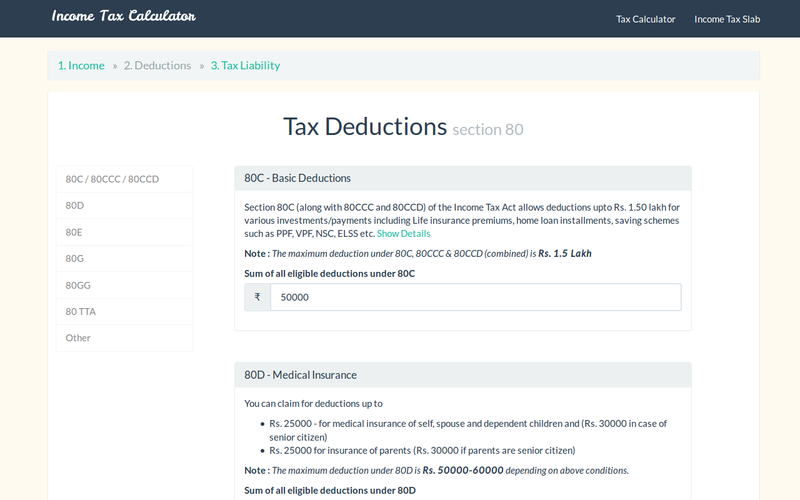 The deduction page helps you in the process by offering simple and easy to understand interpretation for various sections including section 80C, 80D, 80G, 80E and so. Make sure you read all the details before moving to the next. Update! Also check out this one http://sipcalculator.in if you invest in mutual funds through SIP (Systematic Investment Plan) and http://irr-calculator.com for calculating internal rate of return for an investment.